Home / Life-style / Does Juicing Fruits And Vegetables Really Work? Does Juicing Fruits And Vegetables Really Work? The modern sedentary lifestyle has made people think about their diet. And many of the diet trends are actually working for people. Juicing for cancer is one of these trends but it is not the newest one. For decades, it has been part of both traditional and alternative cancer treatments. 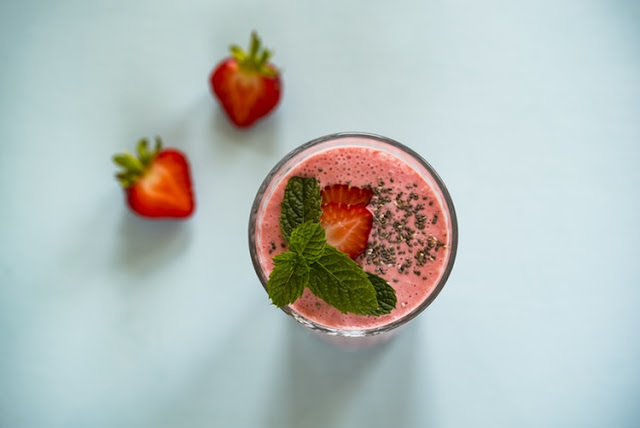 According to Sally Scroggs (nutrition specialist at MD Anderson’s Cancer Prevention Center), juicing provides the body with nutrients and phytochemicals it needs to reduce the risk of cancer. Does it really work? Let’s see. When you drink fruits and vegetables, it is called juicing. Juice from vegetables and fruits contains the most calorie-dense part. With juicing, you will consume most of the minerals, vitamins and vegetables found in fruits and vegetables. This will help in living a healthy life that can be cancer free as well. You can get the best benefits of fruits and vegetables when you eat them whole. However, there are health benefits of juicing as well if done right. The amount of calories and carbohydrates depends on the fruits and vegetables you are adding. Usually, a juice drink contains calories ranging from 100 to 800. Fruits contain more carbs and calories as compared to vegetables. So, vegetables should be more than fruits. You can improve the thickness and texture of the juice by adding non-fat yogurt or skim milk. This can also reduce muscle mass loss. However, watch protein intake as this will add more calories. Always check the calories you are eating. Choose vegetables with more nutrients. Add a variety of non-starchy fruits. Add dark green leafy vegetables such as spinach, kale, rapini, chard and more. When it comes to fruits, add kiwi, mango, papaya and other tropical fruits. If you want to reduce the risk lung, prostate, colorectal and stomach cancer then drink two and a half cup of juice. If you are not adding the pulp, you are not adding fiber. Pulp and skin are great sources of fiber. After extracting juice from fruits and vegetables, add the pulp to the juice. If you don't like pulp in juice then you can add it to some dish. Include plant-based fiber in your diet. Many antioxidants in juice prevent it from contamination. If you are just leaving the juice in your kitchen, the juice will lose its antioxidants. These antioxidants also provide protection to healthy cells from cancer. So, drink it right away. Don't refrigerate the juice for more than a day. You cannot rely on juicing only for the nutrient needs of your body. Juicing for cancer does work. It does reduce the risk of several types of cancer. However, if you want to live a fit and healthy life, you should eat fruits and vegetables. This will keep your gastrointestinal tract and digestive system healthy. This will also burn more calories. To reap the health benefits of juicing, especially juicing for cancer, you need to work with a therapist. The therapist will tell you about the vegetables and fruits you should juice.